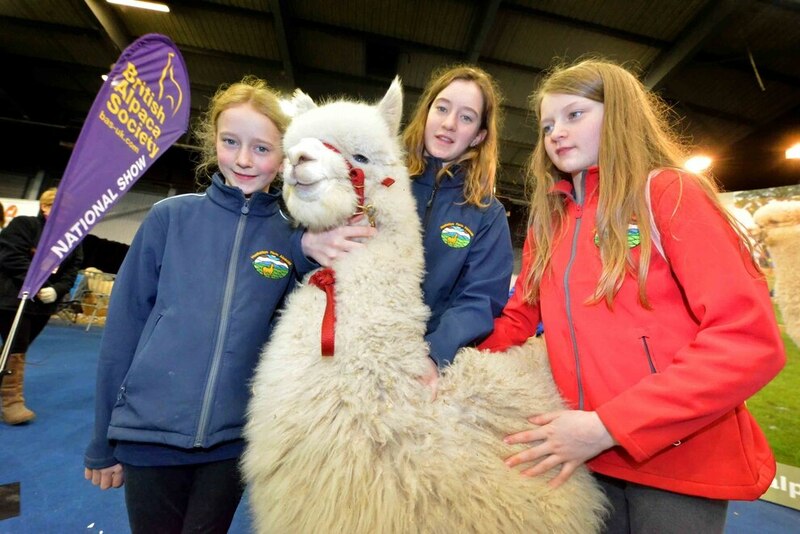 Hundreds of fluffy animals packed Telford’s International Centre this weekend for the biggest alpaca gathering of the year. 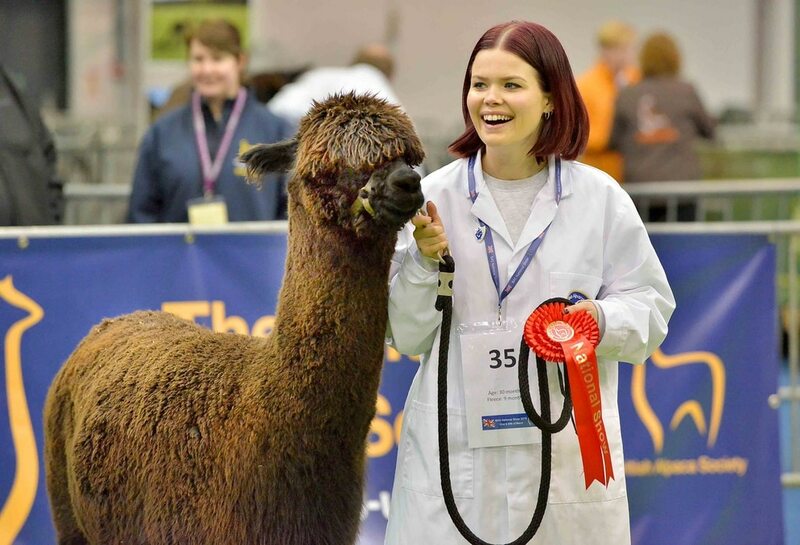 Owners from far and wide turned out to show off their animals in Crufts-style competitions run by the British Alpaca Society. 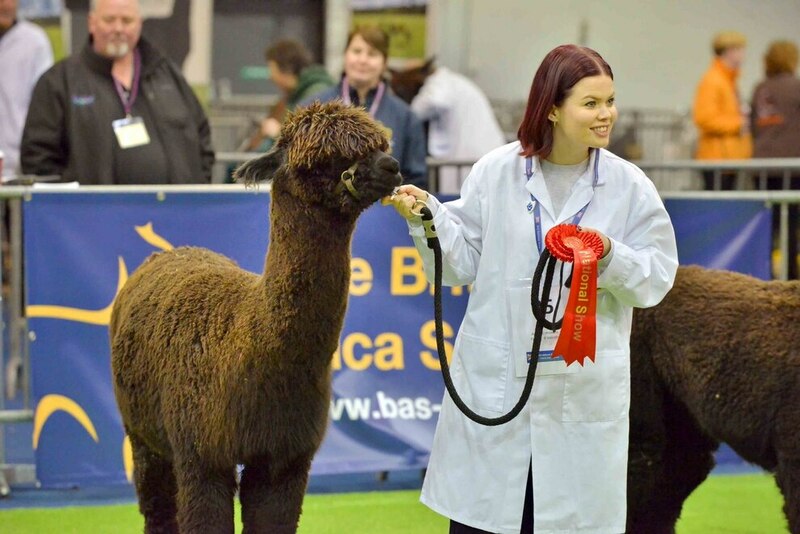 About 600 alpacas from 90 different farms were showcased around the arena before being judged on a number of different categories. 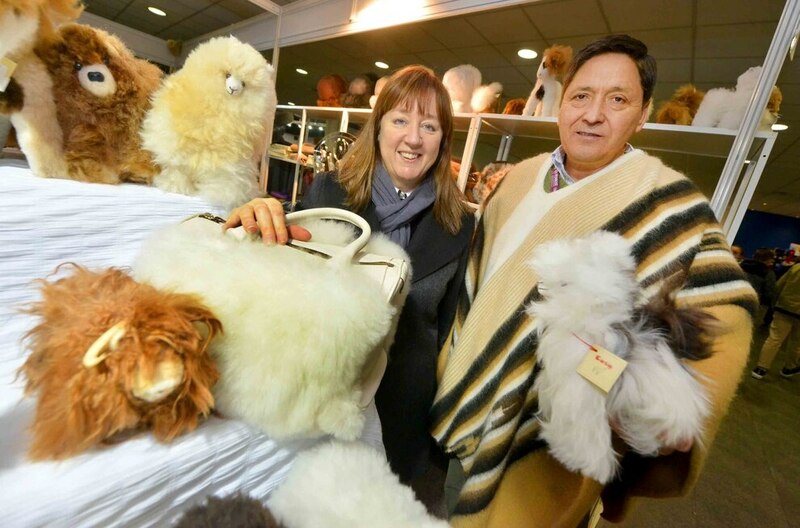 Aisles of animals stretched throughout the venue, with visitors able to feed, stroke and view different breeds and colours, as well as browse a number of shops featuring the finest alpaca clothing and soft toys. 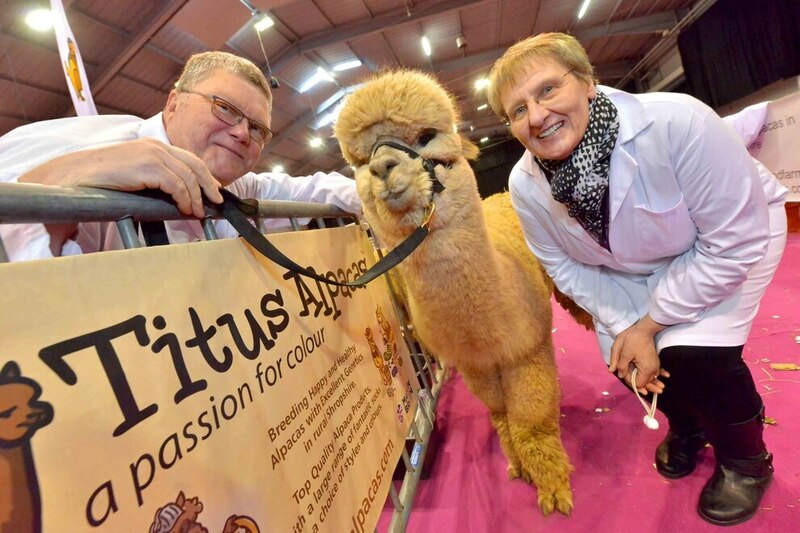 One of the breeders showcasing at the event, was Titus Alpacas, based in Baschurch, Shrewsbury. Operated by Janet and Paul Island, the pair brought four of their herd to the event. "We have three babies that are nine months old and one that's two years old," said Paul. "We've been doing this for 10 years now. They started as just our pets, we had four when we first moved to Shropshire and we've built it up from there into what it is now. "It's Janet's project really, but I help her to breed them for their fleeces. 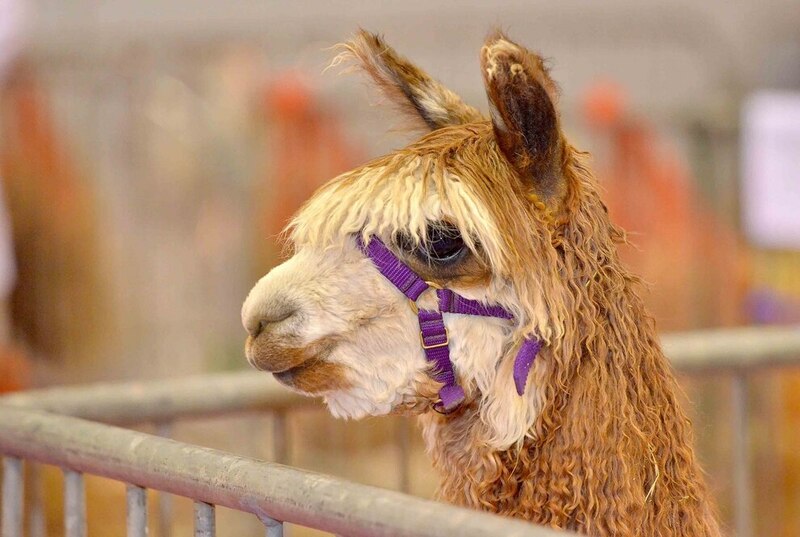 Our speciality is alpaca socks and we also run courses on how to look after them. "We both have jobs so this is our part time job and this event is brilliant. 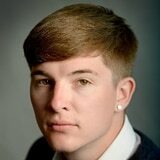 Telford's on our doorstep and year after year it proves to be a great event." 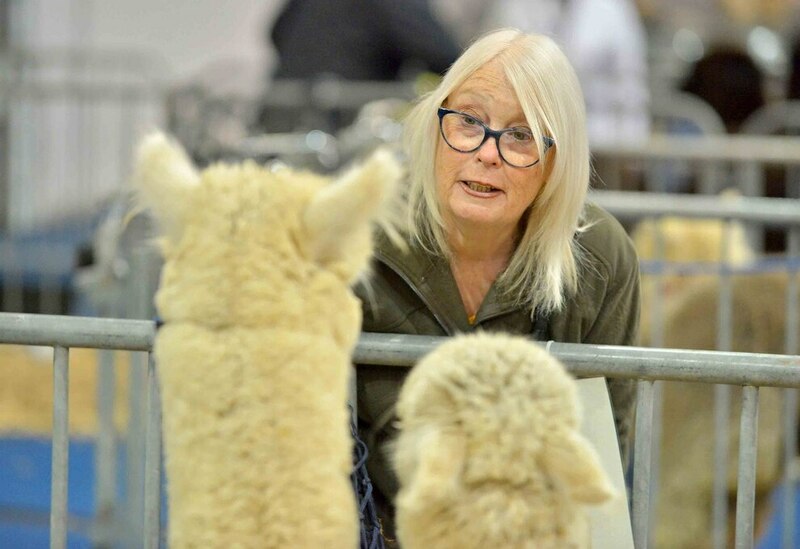 Janet, who works as a welfare officer for the British Alpaca Society, said: "I used to work in corporate banking until one day I came home and told Paul I'd resigned. 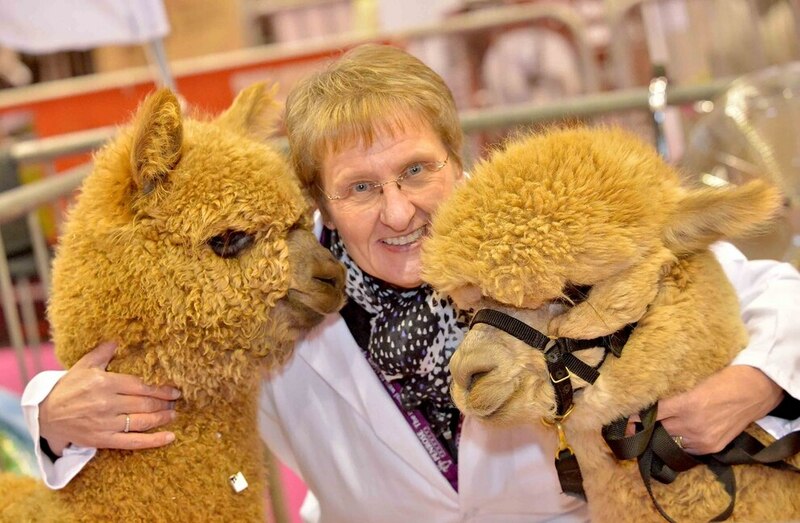 "We then moved specifically to Shropshire from Buckinghamshire to have alpacas in 2008. "They're lovely, therapeutic animals. We're very lucky the national show is here. 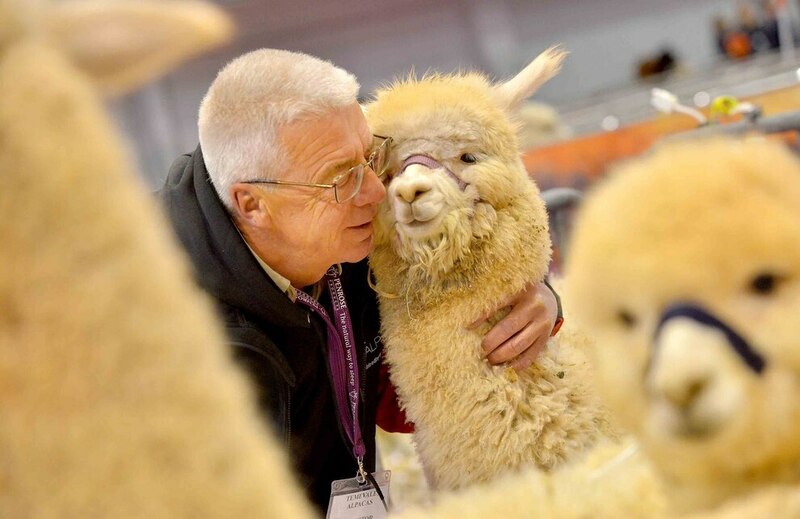 It's the largest alpaca show in Europe and we always have a wonderful time. "We've genuinely improved the quality of our lives owning them. 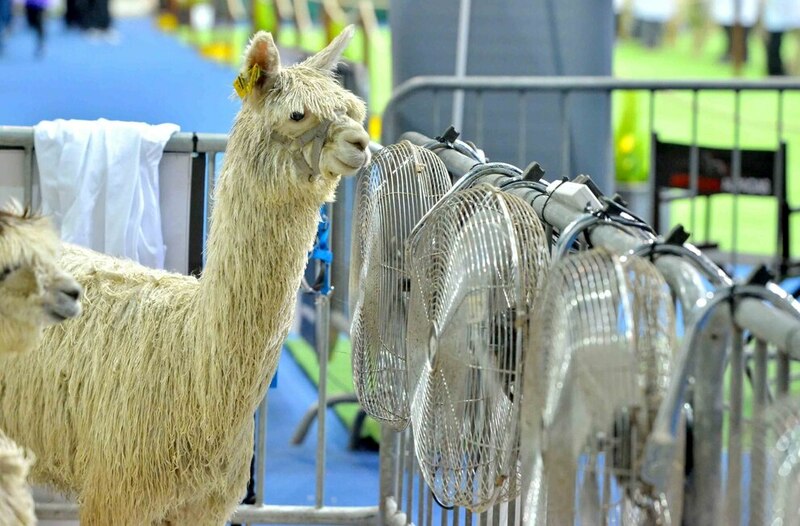 "They're adorable and their fleece is amazing. Beautiful garments can be made from their fleeces, which are very soft but very strong. "You need to know how to look after and handle them but they are easy to keep once you know how and more than worth the trouble." The event ran over two days, and helped raise funds for the Severn Hospice, with the price of admission going entirely to the charity. 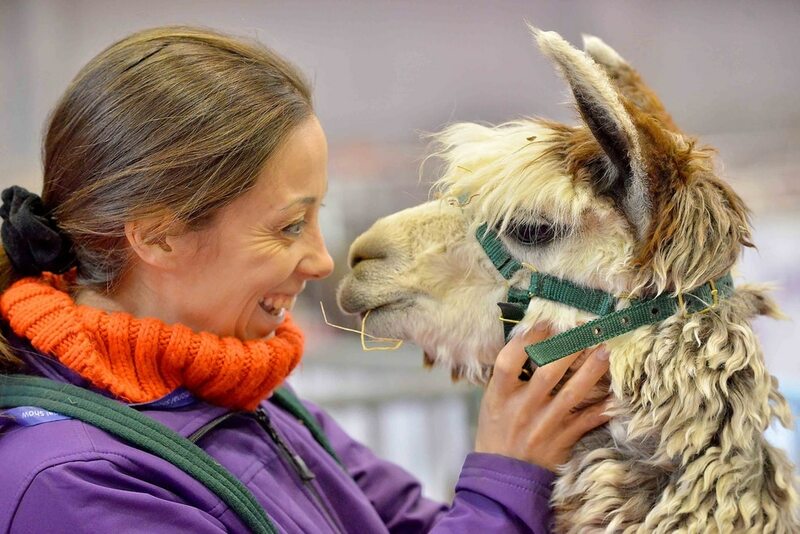 Duncan Pullar, chief executive of the British Alpaca Society, said: "This is the flagship event in our calender and it's got a great following. "We started setting up all the pens and getting everything ready on Thursday, and the animals all arrived on Friday afternoon. 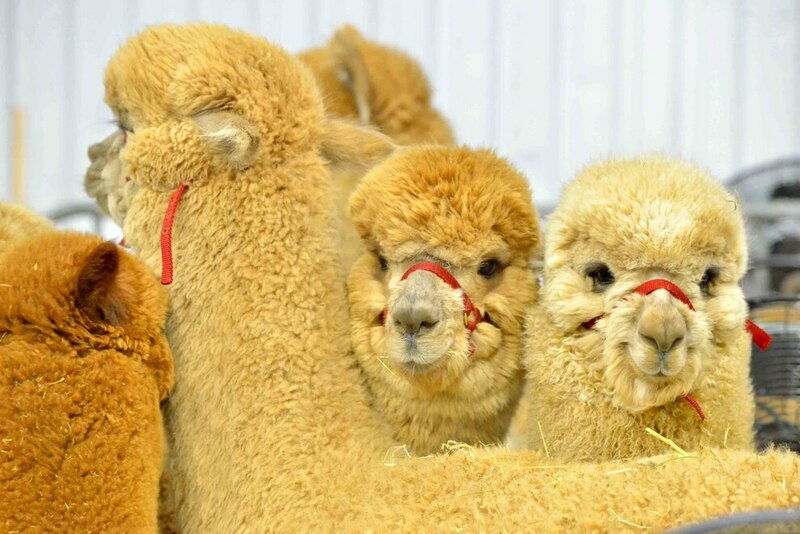 "It's an alpaca beauty contest to be honest, but it's also a great chance for everybody here to meet up with their friends. 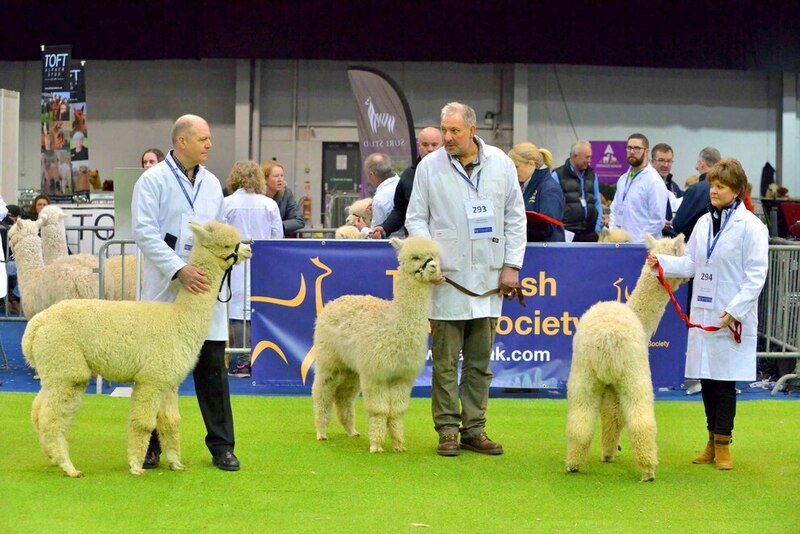 "The structural build of the alpacas is judged, along with the quality of their fleece – the finer the better as it makes for softer material. We also look at whether their colour is uniform. If we're looking for a white animal you don't want any black hairs on it and vice-versa. "This show has been running for about 20 years so far. It used to move venue but since it's been in Telford we've stayed here. It's a great location and I'm sure we'll be back again next year all things being well. "People come from all over the UK to be here which I think shows just what a lovely event it is." 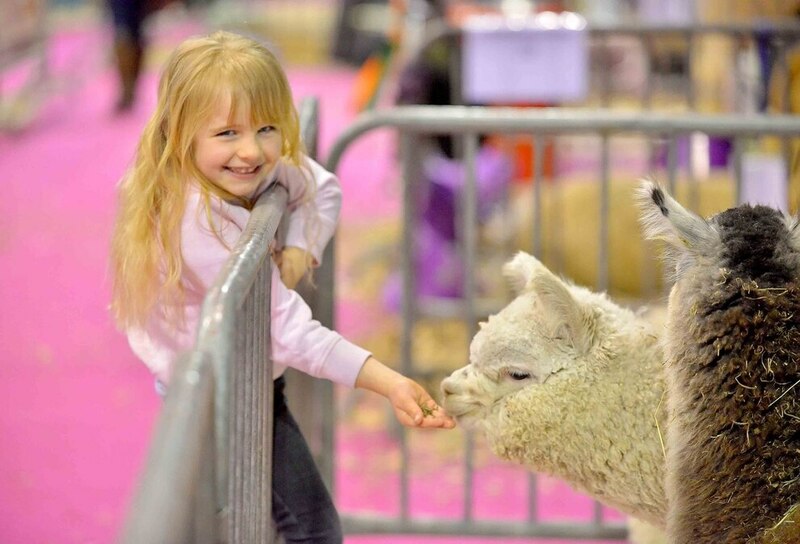 Alpacas have been domesticated for thousands of years for their fibre, which can be used to make clothing in a similar way to wool. They are native to Peru, but populations have popped up in Britain and Australia because of their valuable coats. They are social animals, usually living in family groups with one dominant alpha male. 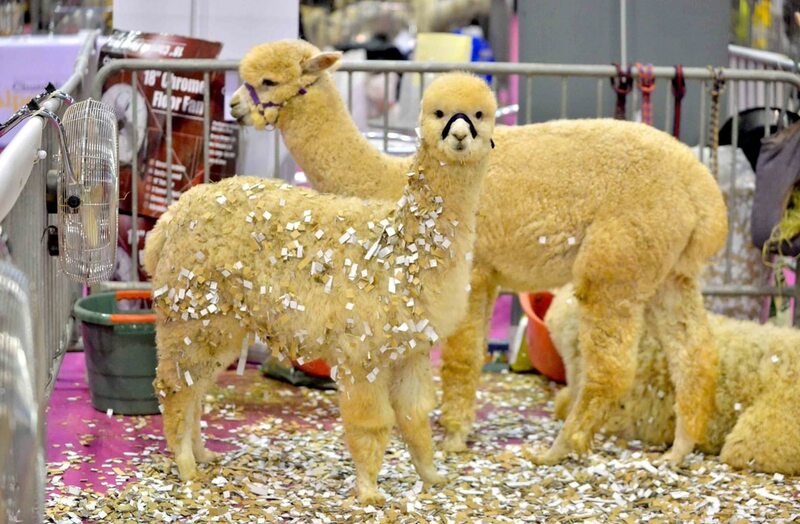 The fluffy camelids are popularly known as gentle, intelligent and observant, but can sometimes become aggressive and some farmers in the USA even use them as guards to protect sheep from coyotes and other predators. 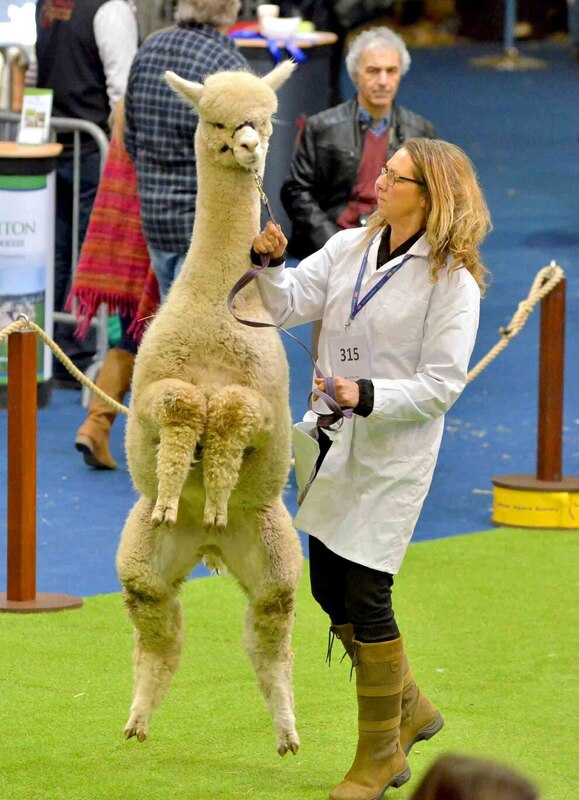 They are similar to llamas, and the two are often confused and can even cross-breed.